Winter is a great time to go to Italy – flights are cheap, tourist areas are far less crowded, and the weather is never quite as blustery and dramatic as it is up north. But what to do? Well there are plenty of things to keep you occupied – while your friends are wondering why you aren’t in Costa del Sol, you can be enjoying any of these wintery fun activities. Yes, skiing is a possibility in Italy! Much of the ski territory is to the north, where Italy shares a portion of the Alps with it’s northern neighbour, Switzerland. Piedmont (Piemonte) was host of the 2006 Winter Olympics, so if it was good enough for them it’s definitely good enough for you. 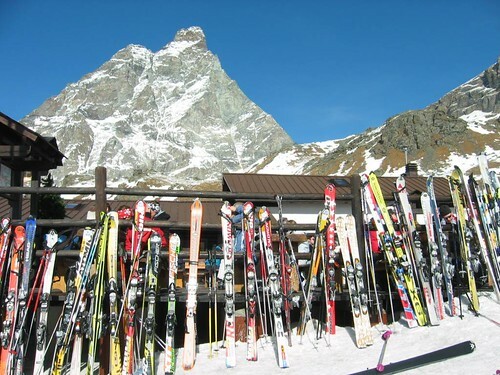 Cervinia is another popular spot, right on the Swiss border. It’s named after Monte Cervino, which is the Italian name for the Matterhorn. You’ll have to head across the border though to Zermatt to get that iconic photograph, though. It’s not just in the north you can ski – down south on the island of Sicily, you can ski on Mount Etna. It’s an active volcano though, so just keep an eye out – though it’s unlikely to affect your skiing. You don’t have to ski when visiting some of these alpine villages and towns; many of them have enough shopping, restaurants and bars to make a quiet getaway just as enjoyable. Ski passes are one of the most expensive parts of ski breaks in Italy, so I’d encourage you to research your options once you’ve picked a ski area – and if you haven’t, talk to the local tourist office for some suggestions. 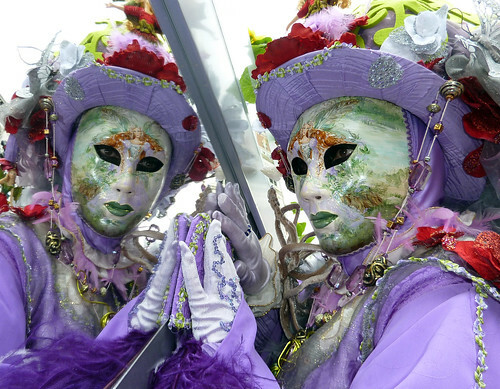 It’s winter, so the Italians try to spice things up a bit, and Carnevale is Italy’s answer to New Orlean’s Mardi Gras. From outrageous face masks to costumes, parades, and all sorts of tomfoolery, this is a side of Italy that many don’t see or appreciate. You don’t have to spend the money to dress up – some of these masks are very expensive – but many souvenir shops offer cheaper alternatives to join in on the fun, especially for the wee ones who will enjoy this Halloween-like festival. It’s a great time of year for photographers as well; these are not your run of the mill people portraits. Unfortunately, hotels can get expensive during Carnevale, especially in Venice where the heart of the festival happens. But booking in advance can help mitigate costs. For more information on dates and a schedule of events, etc. I’ve found the Venice Carnevale wikipedia page quite resourceful, with links to specific city pages. Central Italy has relatively decent weather in the winter – it’s not roasting hot by any means, but you certainly won’t have to dig yourself out of a snowdrift in the mornings. 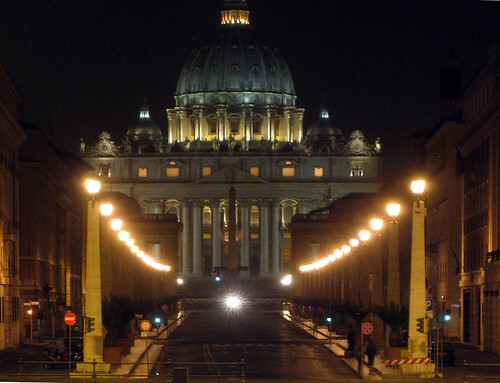 You do get short days, though, but to me this is a benefit, because you can explore Rome after twilight – it’s a very romantic. See the Vatican all alight, and I have to say the only view of the Colosseum worth seeing is this ancient site lit up at night. And who can pass up an evening by candlelight, sipping on wine in one of Rome’s atmospheric restaurants? Last but certainly not least is my suggestion to find a small piece of coast, and go relax. Maybe a storm will whip up a frenzy, or maybe you can count the days by the dazzling sunsets. 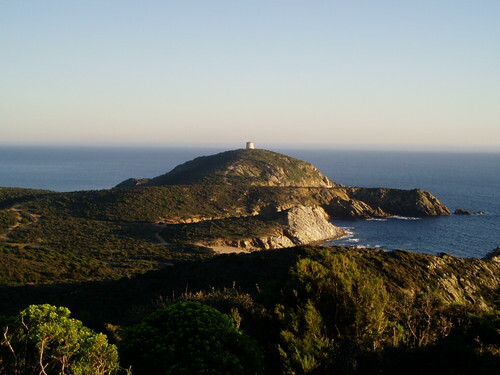 Pictured above is Capo Spartivento, the southernmost point on the Italian mainland. There’s a hotel there I hear is superb (and only bookable in blocks of one week), but you’ll pay for the view. Other smaller villages dot the shores on both the west and east coasts. It’s just the thing to break a spell of the winter blues.